“In the depth of winter, I finally learned that within me there lay an invincible summer.” So said Albert Camus. If you’re whiling away the long dark days of winter imagining how to spend the next gorious summer, we have an inspiring idea for you. 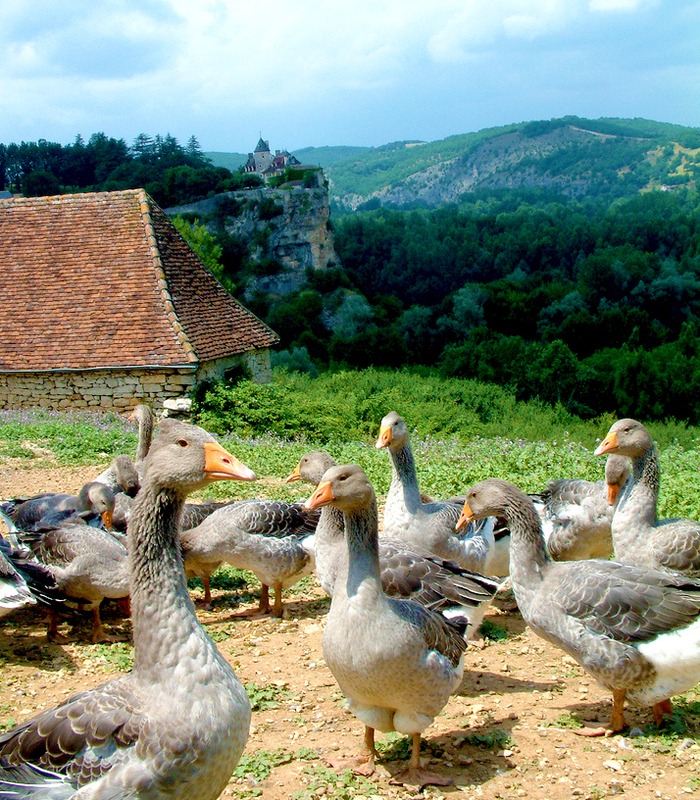 Toulouse geese on a foie gras farm in picturesque Dordogne. This July, join Ariane Daguin for an enchanting week of culinary exploration in her favorite corner of France—the southwest. 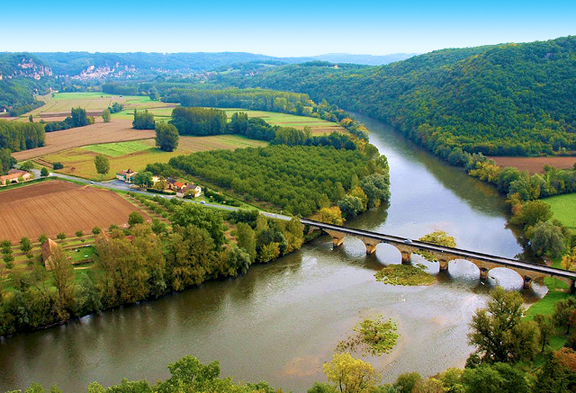 The Dordogne, and specifically the Périgord Noir region, is famous for its prehistoric cave paintings, medieval castles and villages, but especially for its unique blend of cultural and culinary riches. 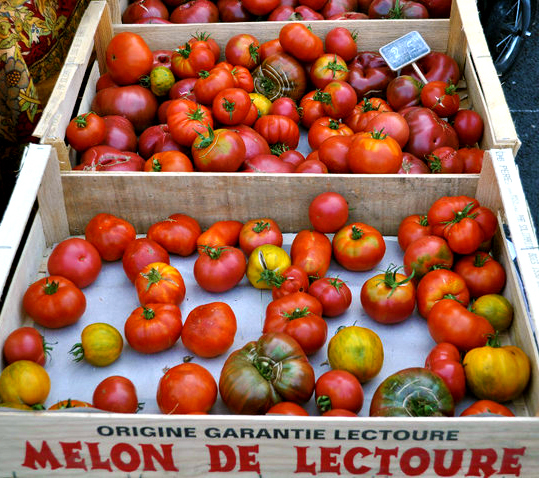 Les tomates at a local market. This is an ideal spot to find out what joie de vivre is all about, and to taste it for yourself. 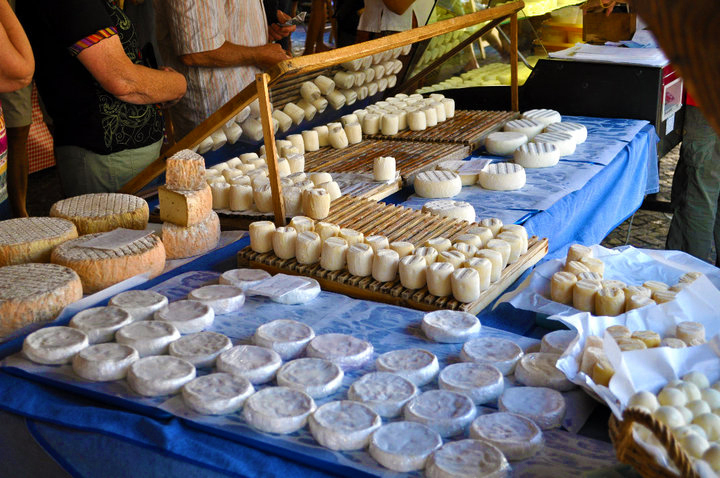 The Périgord Noir is revered in France for its regional cuisine including the finest truffles, walnuts, wild mushrooms and foie gras, and for wines like Bergerac, Monbazillac and Cahors. You will stay at La Combe en Périgord, an 18th-century stone farm house nestled on 40 acres of parkland and woods deep in the Périgord Noir. This gracious home is well equipped with a swimming pool, private apartments and modern amenities, including a state-of-the-art French country-style kitchen, a fully-stocked bar, library and massive stone fireplace. Your every comfort is simply and elegantly considered. You will have all the privacy you want, and all the attention you need. 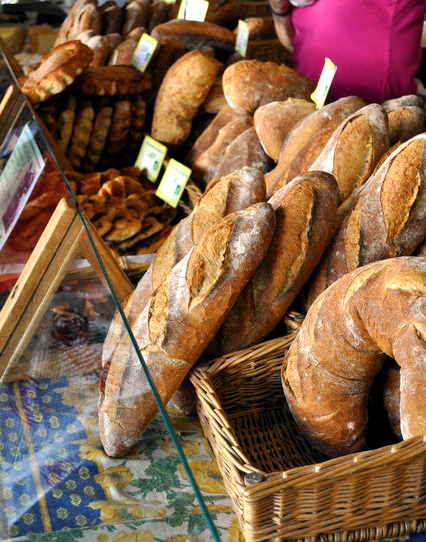 Each evening aperitifs will be followed by beautiful dinners….days will be spent exploring produce markets, visiting farms, learning about the traditions of foie gras, watching bread being made from the grain mill to the oven, eating leisurely lunches at fine restaurants, and discovering the history and culture of the area. 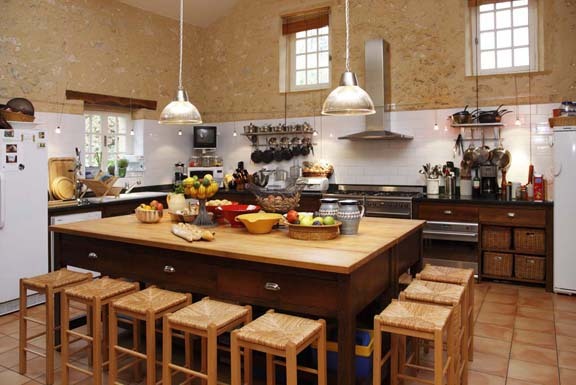 While absorbing the culinary traditions of the Périgord, you will also enjoy hands-on cooking instruction with guest teaching chef, Ariane, who brings unique skills and vast food knowledge to the kitchen. Cooking the seasonal produce available in the markets and talking to farmers and food artisans is the best immersion in the local food culture. Market vendor selling fresh chevre. 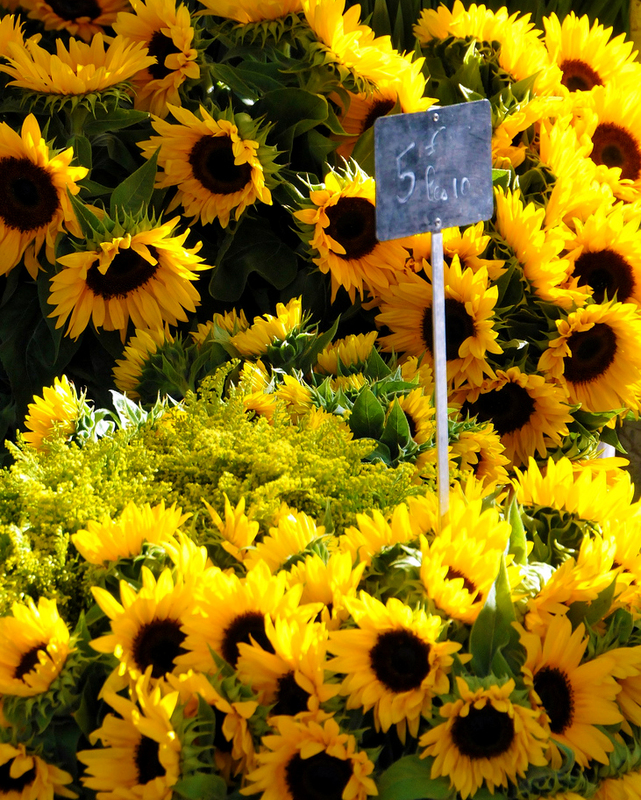 Spend a week in the Périgord Noir with Ariane and remember the flavors for a lifetime. Cost is €3200 per person and is all inclusive. 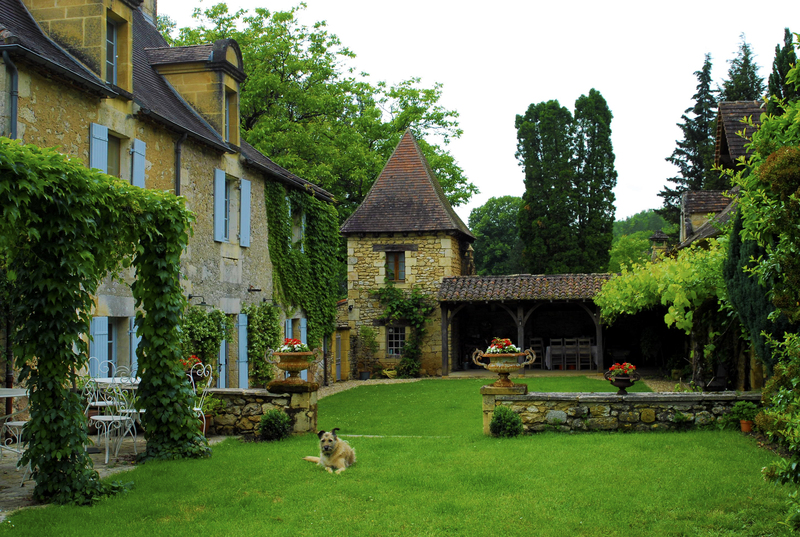 La Combe en Périgord can only accommodate 8 people, so don’t hesitate and miss this extraordinary experience! Next Post It’s National Bean Day!